Home » Website Building » WordPress » How to Embed Google Forms in WordPress? Google Forms offer a very efficient way of collecting information from your website users. You can easily use the form on your site thanks to their usability and compatibility with various systems. Moreover, most website owners are familiar with Google Drive, a platform that facilitates faster and easy analysis of user responses. Embedding Google Forms in your WordPress website enables you to create online registration forms, surveys or quizzes. While there are other WordPress plugins for creating web forms, Google Forms provide extra flexibility including the ability to insert media files, customize online forms and to process responses in real-time. Additionally, Google Forms allow you to share a single form on websites, email lists and social networks. Related: How to add contact forms in Weebly site and customize? In this article, we will show you the steps of integrating your WordPress site with Google Forms. 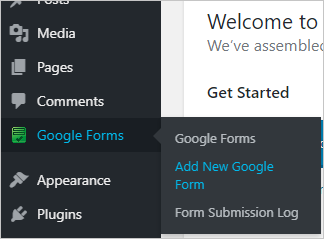 In order to embed a Google Form into a WordPress website, you need to first create a Google Form. 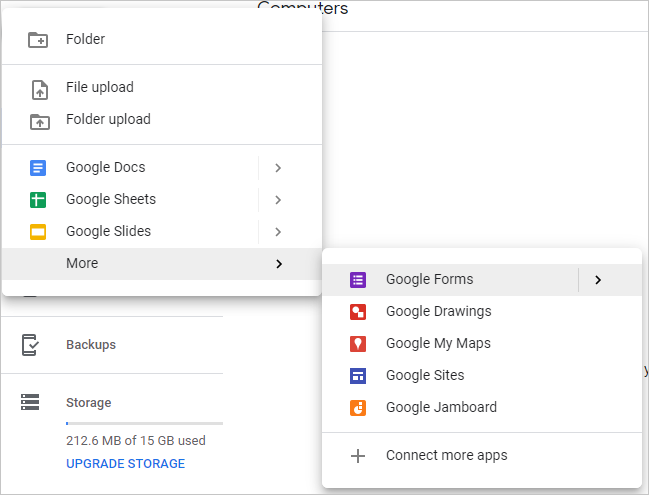 Login to your Google Drive account, go to the “New” button and select “Google Forms”. Design your form by adding the questions based on the information you need to collect from viewers. You can use the hanging toolbar on the right side of the form to further customize the form. Once you have completed the form design, you can add the form to your WordPress page or post in two different methods. 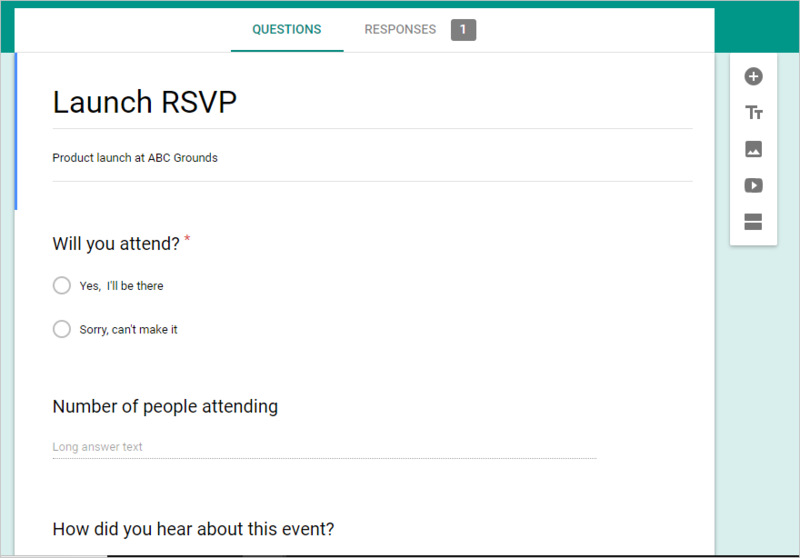 This is a manual but the simplest way to add a Google Form into your site and start collecting responses. Click the “Send” button at the top of the form design page. This opens a new dialogue box with the option to email the form, share via a link or embed the form. Switch to the embed HTML icon and copy the iFrame code. Now login to your WordPress site admin dashboard, and add a new post or page where you want to embed the form. Paste the iFrame code in the page/post. You can click the “Preview” button on the editor to view how the form will be displayed on the post before publishing. If the preview looks good, then click on “Publish” button to make the form online. 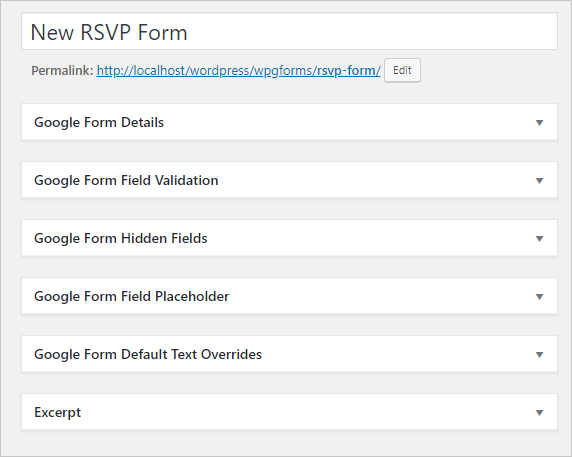 The Google Form WordPress plugin allows you to manage and customize Google Forms from the Admin dashboard. Login to your site Admin dashboard and under the “Plugins” menu, click the “Add New” option. Search for “Google Forms”, install and activate the plugin. You will notice a new item, “Google Forms” on the Admin dashboard menu. To add a new form, hover the mouse over the menu item and select “Add New Google Forms”. You need to have first created a form on Google. 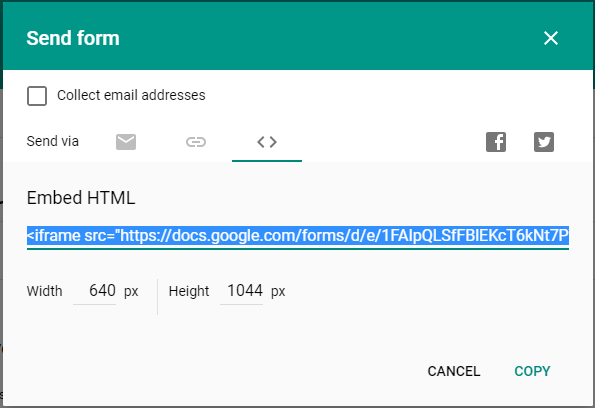 Add the title and paste the URL in the “Form URL” field. Special Offer: Get Managed SiteGround WordPress hosting just from $3.95 per month. You can edit various aspects of the form such as hide/ unhide fields, modify field validation and adding excerpt among other elements. To do so click to expand the sections. 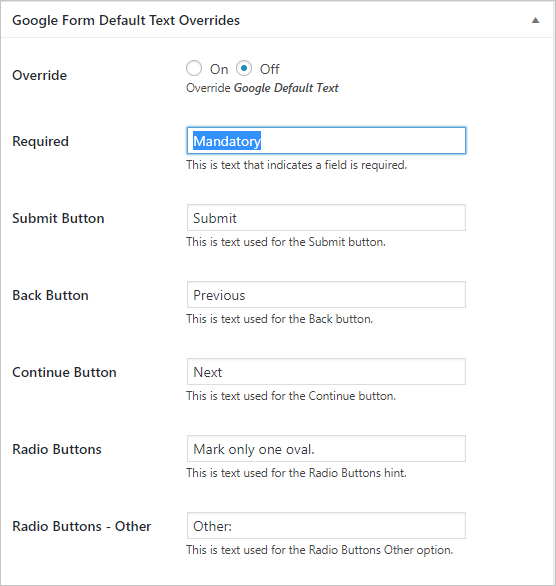 For instance, you can change the Google Form default text to display your custom text by editing the ‘Text Overrides’ section. Click the arrow to expand the section and replace the default names with your custom text as shown. Captcha – This add security to your form by preventing spam responses. Click the appropriate radio button to enable/ disable the feature. 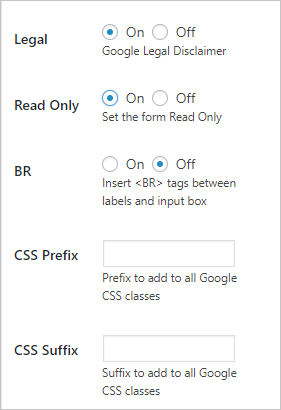 Column settings – The feature allows you to split your forms into columns. 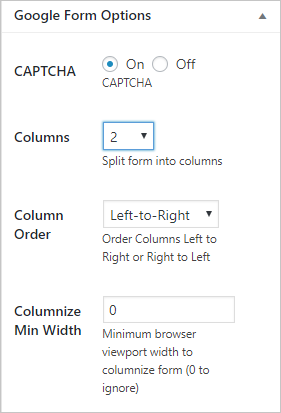 Click the box to select your preferred number of columns. You can also customize the column order and width. Legal settings – Scroll down the options panel to find “Legal” options. Click the “On” button to enable the legal disclaimer for Google Forms. Read/Write permission – Switch on the “Read Only” option to prevent viewers from editing the form content. Related: How to embed PDF documents in WordPress site? Once done, collapse the Google Form Options and under the “Publish” section click “Preview” to see how the form will display to the end-user. Then click the “Publish” button to publish the form on your site. Embedding Google Forms in your WordPress post or page is very helpful when you want to collect information from your viewers. Further, this enables you to analyze responses from Google Drive, a tool that you are already familiar with. The above steps guide you on how you can add Google Forms in WordPress either manually or using a WordPress Form plugin.